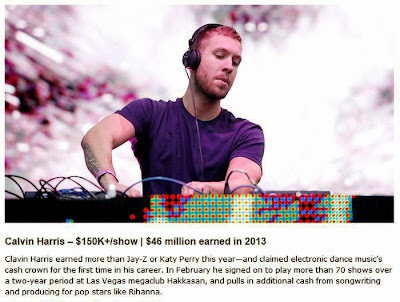 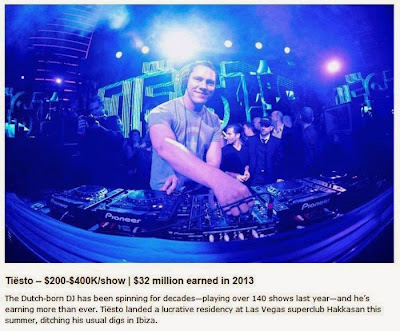 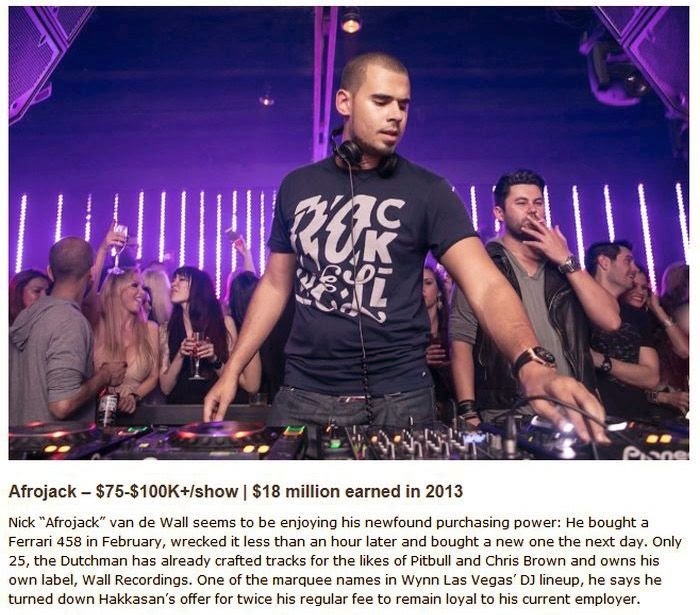 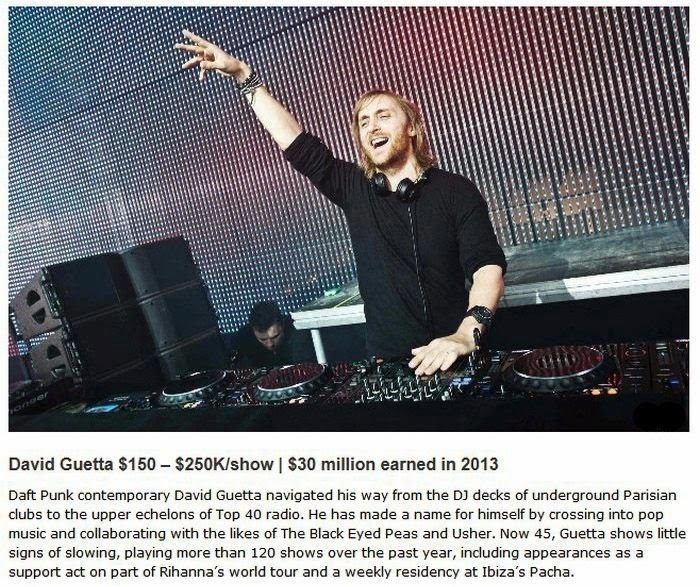 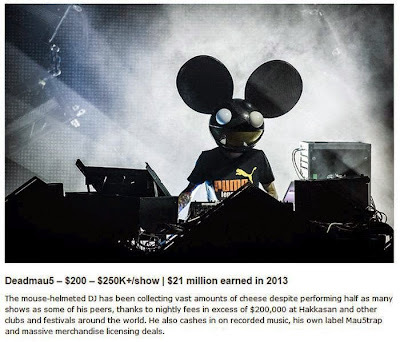 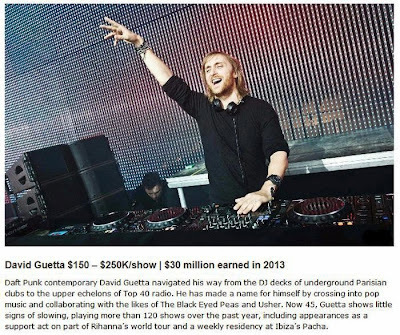 These DJs make crazy amounts of money. These guys are definitely living it up as they make more from one gig than most people make in an entire year. That is incredible. 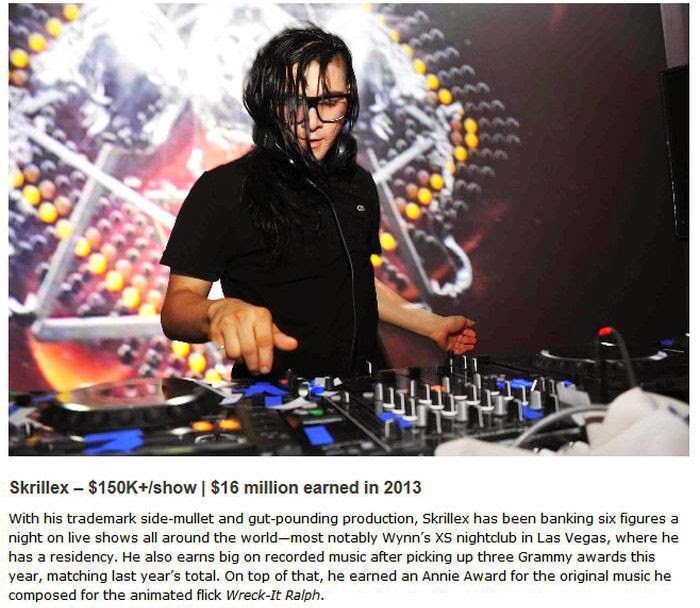 I've only heard a few of these names and I've never paid any real attention to them. Now that I've read this, I'm so curious how good are these people that they're earning so much in just a year? 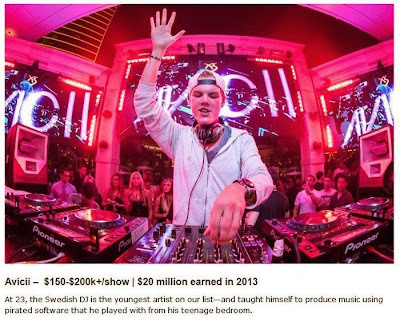 Amazing, if only I had as much skill and talent. 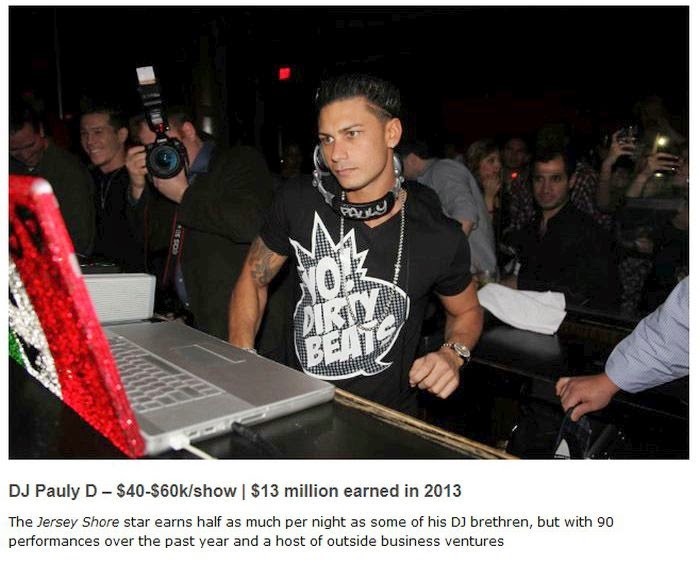 You can't put skill, talent and Paulie D in the same sentence. 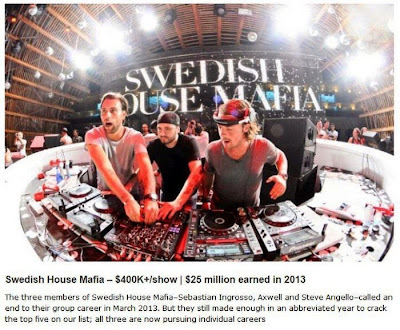 All of this djs are just commercial scene members. 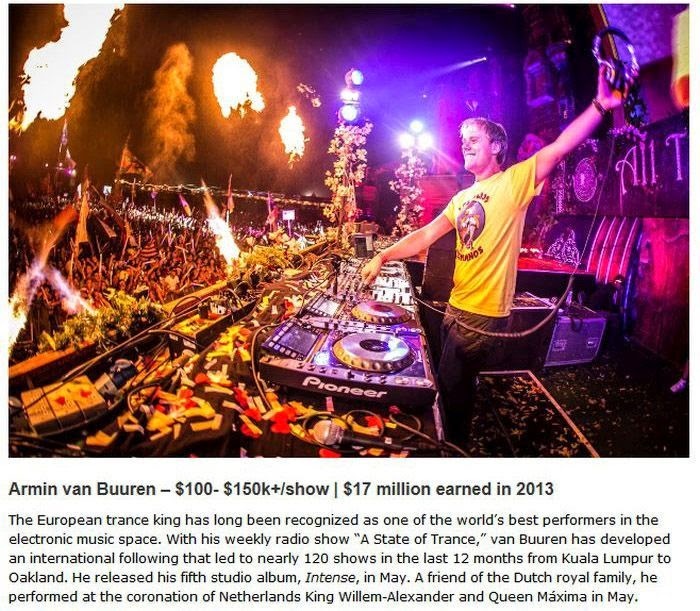 Van Buuren makes good music sometimes, and the mouse too, but in his own studio. 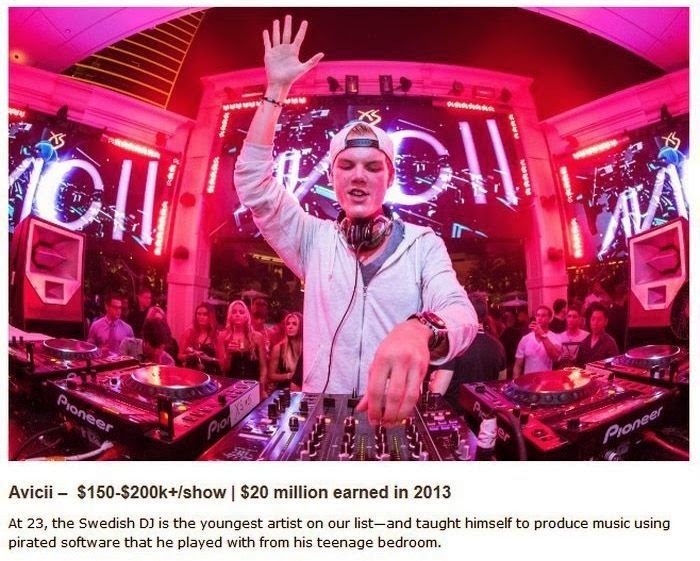 Just cheese music (I dont know the exact word, is something like cheese, well...). 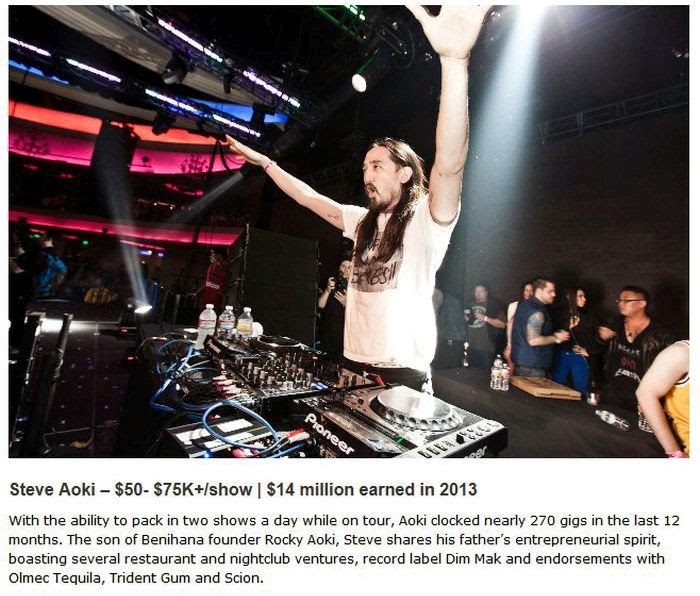 Old skool is the last stand of electronic music. 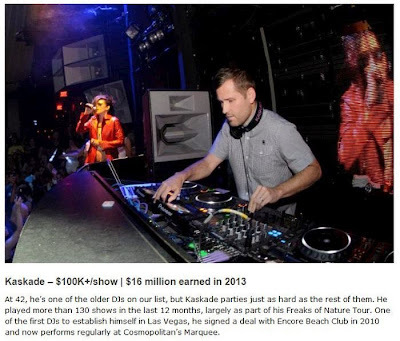 Going to a DJ concert is like going to see a comedian and they put in a dvd for you to watch.